Ever wish you could peek into the beauty cabinets of other women? Ask them about each and every product before you gather your notes and make a beeline for the nearest Mecca? We did too, hence our Real Women, Real Routines series. We’re shining a spotlight on actual women, and detailing the ins and outs of their personal skincare routines. We asked all the questions, from their approach to skincare, to issues they’re dealing with, morning and evening beauty rituals, and the products they’ll keep buying forever. In this week’s column, Who What Wear, Byrdie, MyDomaine and POPSUGAR Australia Group Publisher Alison Rice so kindly walked us through every single step in her expertly-curated skincare routine. As an ex-beauty editor and self-confessed skincare obsessive, hundreds (if not thousands) of products have seen the inside of her bathroom cabinet (and Instagram stories), so you know that her daily go-tos are seriously good. Keep reading for all the skincare products an ex-beauty editor swears by. Byrdie Australia: What’s your approach to skincare? Alison Rice: My approach is definitely more on the cosmeceutical side than say, those women who can get away with using only coconut oil. I am #blessed with combination skin, large pores and painful hormonal breakouts along my jawline. My approach to skincare is about keeping all of those things at bay. I am always on the pursuit for perfect, glowing skin. It is one of my passions in life (maybe I need more friends). B: How do you go about choosing products? AR: It has taken me years and years to get my routine right and without wanting to jinx it, I think I have found my magic formula. I am an ex-beauty editor so I take product selection pretty seriously, and based on the ingredients I can tell at a glance if something will work for me or not. The products I am using right now come from advice I’ve taken from Melanie Grant, The Olsen sisters (yes, really) and my Botox doctor (more on him below). B: Do you have any skincare issues you’re currently treating? AR: Aside from what I mentioned above—combination skin, so prone to oiliness, large pores and hormonal breakouts—my overall skin issue is texture and tone. I have quite noticeable hyperpigmentation and it gets very dark if I spend too much time in direct sunlight. Those women who tan at the beach with their faces pointing at the sun? They give me actual anxiety. I could never do that (and no one should!). So I am always trying to shrink my pores, even out my skin tone and smooth the surface. Makeup looks so much better on smooth skin. B: What do you buy over and over? 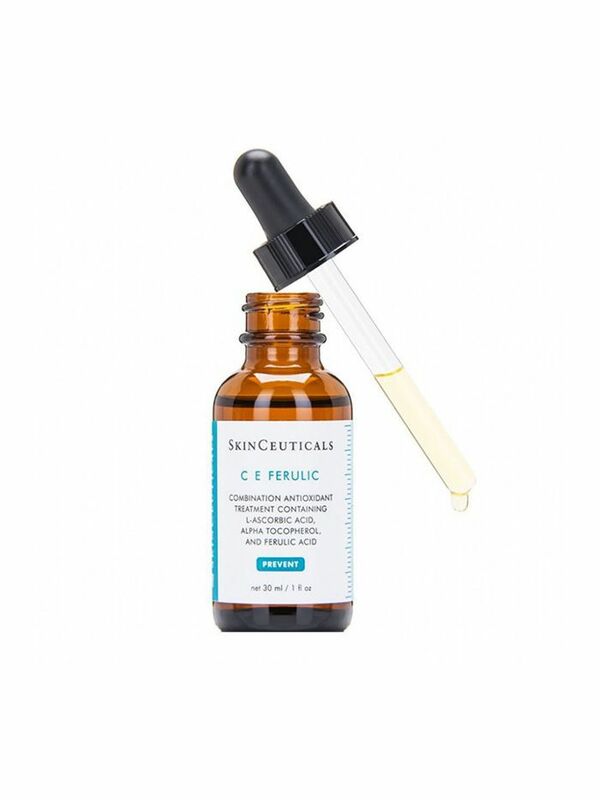 AR: I love Skinceuticals CE Ferulic serum ($214). This Vitamin C serum has really brightened and tightened my complexion. I use it in the morning before this Alpha H Protection Plus Daily SPF 50+ ($50). Biologique's Recherche Lotion P50 ($91) is a game-changer. Just buy it and never look back. Refined my pores through gentle, overnight exfoliation. I apply after cleansing every second night and finish with this Arcona face moisturiser (you can buy it at Sephora soon). 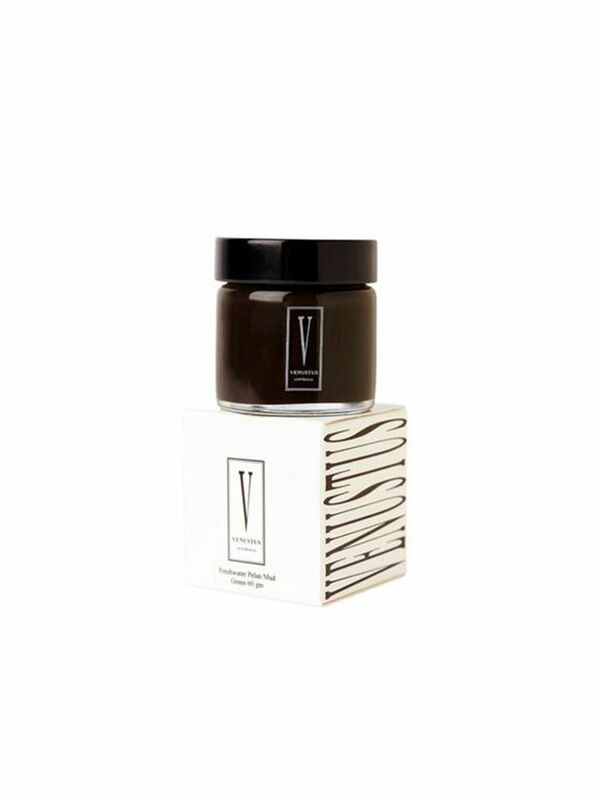 I love the Venustus Black Pelan Organic Mud Mask ($69). I use it once a week, usually on Sunday night. It is fantastic as a spot treatment as well. If I run out of this, I also use the Dermalogica Charcoal Rescue Mask ($68). 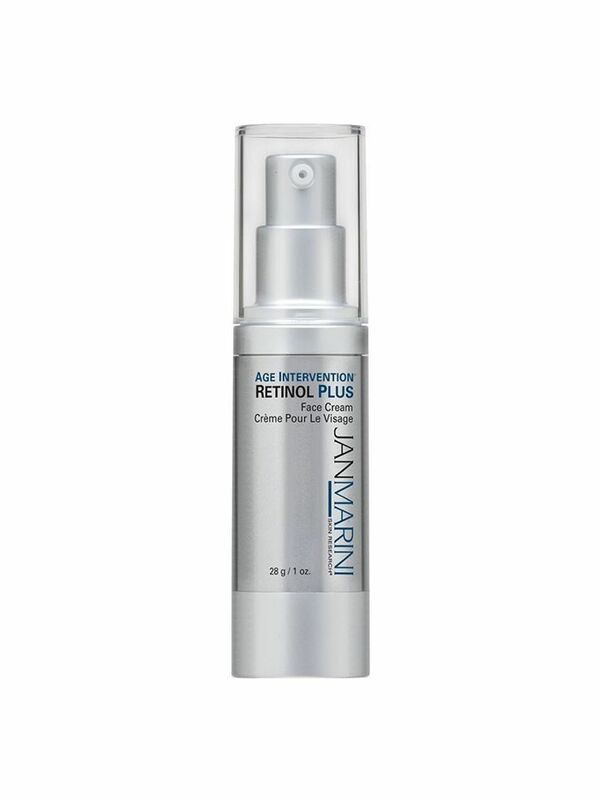 There’s a lot of good retinol products around, but Jan Marini ($79) is the first one I’ve tried properly and I love it. I bought it at Ageless Clinics, which I where I get Botox every nine or so months. I’ve had so many facialists implore me to use a retinol and I resisted for years because I didn’t want to peel or get really dry skin. Turns out my skin LOVES it and the texture has never been better. You need to start slow—once a week, then twice a week, then every second day. I alternate this with the Biologique lotion. You should not use a retinol if you are trying to conceive or if you’re pregnant. *On the Botox, it is worth noting it is also responsible for my skin’s tighter texture. I swear by 15 units every nine months and the best thing about Dr. Jeremy Cumpston (who owns Ageless Clinics), is his preference is to undertreat. So even when I tell him I look old and need everything and immediately, he will only give me my baby units (for context, I get half of the “average”). Botox isn’t for everyone, but for me, I have found it to be a real confidence booster. As with everything, moderation is key. But if you want to try it and you’re looking for a doctor you can trust, I highly recommend Dr. Jeremy. He treats a lot of people I know. B: Anything you’d never use on your skin? AR: I don’t find rosehip or jojoba oil work for me, or any essential oil based serums. Too heavy and leave me congested. B: Walk us through your current morning routine. AR: I rub Jan Marini Bioglycolic Face Cleanser ($35) onto dry skin, emulsify in the shower. I pat my face dry, gently press a small amount of CE Ferulic ($214) into my skin, and finish with Alpha H Protection Plus Daily SPF 50 ($51). B: Walk us through your current evening routine. AR: I shower morning and night, so I hop in the shower, wet my face and use Avene Xeracalm Cleansing Oil ($42) to remove my makeup. Then I use my Jan Marini ($35) cleanser twice. Depending on the day, I will use either a small amount of the Jan Marini Retinol ($79), or the Biologique P50 ($91) on a cotton pad, then I finish with the Acrona face moisturiser. Sometimes I will use Sisely’s eye and lip cream ($240) and if I am really tired or feeling a bit blah, my Venustus jade roller. B: Which experts do you look to for your personal skin upkeep? AR: Venustus for overall wellbeing, Melanie Grant for product and targeted skin treatments like bespoke laser or peels, Deandra at Jocelyn Petroni for face massage and extractions, Dr. Jeremy at Ageless Clinics for my trusty friend B. Want more beauty news? Follow us on Pinterest.